with Photobucket ever since I changed up the blog. I'm just testing the picture resizing on photobucket. Hopefully it'll pick up that the dimensions have changed. Another picture from Williamsburg. 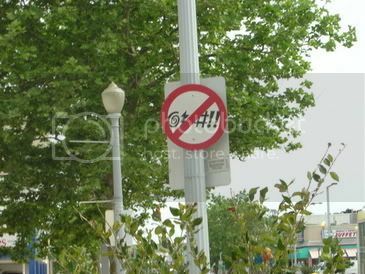 I think this is on my top 5 city signs I'd like to have. It's up there with the immigrant family crossing sign on the freeway between Orange County and San Diego.